Aamna Hussain is an independent curator, writer and critic based in Karachi. With numerous exhibitions to her credit, she holds an interest in curatorial themes around formalism, process and perpetual themes from art history such as landscape and human figure contextualized in contemporary forms. She has reviewed books including ‘The Shape of a Pocket’ by John Berger, ‘What Art Is’ by Arthur C. Danto and ‘Various Views and Points of Iqbal Geoffrey’ edited by Zoha Haider, among various others. She has contributed to a number of publications around art, including ArtNow Pakistan, Nigaah Magazine and exhibition publications. Aasim Akhtar is an independent artist, art critic and curator. His writing is published in magazines, catalogues, and books both nationally and internationally, and his art work has been widely exhibited, more recently at Whitechapel Gallery, London, as part of a commemorative show entitled, Where Three Dreams Cross: 150 Years of Photography in India, Pakistan and Bangladesh (2010). He was a writer-in-residence at Ledig House, USA, and Ucross Foundation, USA in 2000, and a curator-in-residence at the Fukuoka Asian Art Museum in Japan in 2002. Among the many exhibitions he’s curated to date, An Idea of Perfection: National Exhibition of Photography is noteworthy. He is the author of two published books, Regards Croises (Alliance Francaise, Islamabad, 1996) and The Distant Steppe (Alliance Francaise, Islamabad, 1997), and has just finished writing his third, Dialogues with Threads: Traditions of Embroidery in Hazara. He teaches Art Appreciation and Studio Practice at The National College of Arts, Rawalpindi. Adnan Madani is a visual artist and writer from Pakistan. He is currently doing a PhD in Visual Cultures at Goldsmith, University of London. His research interests include contemporary art systems, museum studies, theories of globalisation (especially in relation to the Islamic world and South Asia) and universalism. He has contributed to various publications and participated in several exhibitions both in Pakistan and abroad. Khuda Bux Abro and his work can be mentioned in the category of the artists and works that have an earnest feel for social issues, and portray these issues effectively and with a passion. Born in Hyderabad Sindh in 1957, Abro has dabbled in every form of the visual arts. An activist to the core, his work deals with social themes and issues ranging from human rights to dictatorial regimes. A prolific artist, photographer, illustrator, graphic designer, calligrapher, and cartoonist, he has held several exhibitions even before he joined the National College of Arts in Lahore. Most of Abro’s works are strongly political, in which his intent has always been to get the message out, with little interest in commercial successes. His sensitivity to the plight of women, and his desire for regional peace, are all expressed strongly in his works. His eye for vibrant colours is as apparent in his photos as in his paintings. He works with Daily DAWN as an Editorial Consultant. Ali Naqvi is Executive Chairman of Global Markets at APAC Credit Suisses; Owner of Islamabad United and Co-Founder of the AAN Collection. A photographer who is also a trained lawyer, with an innate eye for Art and Design and an instinctual feel for the aesthetics of visual language. This was further polished in studying Fine-Art as a subject in A’ levels, where while studying drawing and painting she fell in love with the Masters of European painting. In 2012 she graduated from a Commercial and Fine-Art Photography Program in Vancouver which also incorporated courses in Cinematography and History of Photography. Her main area of focus continued to be in Fine-Art photography with Fine-Art Printing and Marketing at the heart of it. Constantly exploring ideas to integrate art with business, Ambereen Karamat has established the first art consultancy in Pakistan called White Turban. This consultancy focuses on weaving in artists into the art world by giving them opportunities to exhibit and connecting with art institutions. Her close links with galleries and museums works as an advantage as well as her visits to art biennales and fairs gives her a better understanding of art market trends. Graduating in Art Criticism and Writing from School of Visual Arts, NY and Art Administration from Columbia University, her business ventures are based on a deep understanding of Art and its promotion. Her upcoming projects are a series of artist monographs and a salon/exhibition in Lahore next year. Ali Sultan is an artist who lives and works in Lahore. Amean J [b Karachi (Pakistan), 1974] graduated with a BFA in Photography from the Academy of Art University, San Francisco in 1997. Amean is one of the first in Pakistan to obtain a formal degree in the discipline. In 2005, he completed his MA in Media, Culture and Technology from the University of Bedfordshire in the UK. As an Assistant Professor, in 2010 he set up Post-Graduate Diploma Program in Photography at the Indus Valley School of Art & Architecture and was the Program in-Charge for two successful batches of students.Amean has also published 4 books and his work has been featured in several other titles and publications. His artwork is installed in various institutions, including HBL, UBL, the American Embassy and the new International Airport in Islamabad. Presently Amean is also the President of the Board of Governors at The Citizens Archive of Pakistan (CAP). He co-founded CAP (non-for profit organization) dedicated to cultural and historic preservation with like-minded diverse individuals in 2007. Ten years later CAP is working towards their first museum, National History Museum, scheduled to open in Lahore in 2018. Ammara Ahmad is a staff member of the Nation, with an interest in human rights, arts and literature. She tweets as @ammarawrites. Amna Iqbal is a Graphic designer and a Visual Journalist. She was heading the creative department at the Express Tribune from 2009-2014 and currently teaches at The Indus Valley School of art and architecture. She is a freelancer writer on culture and art for various publications. Amna Naqvi is the founder of AAN Foundation and Gandhara Art Space. She is a collector, philanthropist, publisher and an enabler of art projects and initiatives, which have led to the growth of the contemporary Pakistani art space locally and globally for almost fifteen years. The AAN Collection comprises of over 800 works of art including 3rd Century Gandhara sculptures to 17th Century Mughal miniatures and contemporary artworks by Shahzia Sikander, Ai WeiWei, Takashi Murakami, Imran Qureshi and Rashid Rana. Works have been part of exhibitions at The Metropolitan Museum of Art New York, Singapore Art Museum, The Venice Biennial, The Guggenheim Museum Bilbao and MAXXI Museum, Rome. Amna also runs Gandhara-Art in Karachi and Hong Kong which have programmed over sixty five exhibitions and has published over twenty five publications to date. The AAN Foundation has supported exhibitions and publications including the Rising Tide at the Mohatta Palace Museum, Karachi and Apparatus of Power by Shahzia Sikander at the Asia Society, Hong Kong. 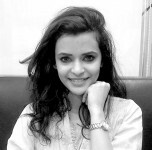 Amra Ali is an art critic, independent curator and researcher based in Karachi, Pakistan. The focus of her art writing since 1990 has been to locate and contextualise the emerging processes and practices in art in Pakistan, with a focus on issue based writing. She received a BA.FA from the University of Ottawa, Canada (1985), and was a Neiman Affiliate at Harvard University (2002). She was the secretary of the Pakistan chapter of AICA Paris, till 2014. She is the author of Third Text, Rasheed Araeen and a founding editor of NuktaArt (2005-2014). She has contributed art reviews, articles and essays to local and international publications, and is a regular contributor to Daily Dawn. Aniqa Imran is a Printmaking major from Indus Valley School of Art & Architecture. Based in Karachi, she has previously worked as Managing Curator for FOMMA Trust and Deputy Editor ArtNow Pakistan. She is currently working as Assistant Director Exhibitions and Programmes at the Citizens Archive of Pakistan (CAP) and Assistant curator National History Museum, Lahore. She writes freelance for local publications such as Herald and The News. I, Asif Raza have been in the business of photography for 30 odd years. After having established myself as the leading photographer in Pakistan for over a decade, I moved and now call Mississauga, Canada, home for the past 18 years. My greatest talent is patience, problem solving and keeping things simple, ensuring comfort for my clients and as a result, I have had the privilege of photographing senior executives, flying with the air force in their fighter jets photographing planes in flight or industrial plants or for that matter nearly falling off to my death from an open door of a helicopter as well as all the beautiful models and fashion over the years. 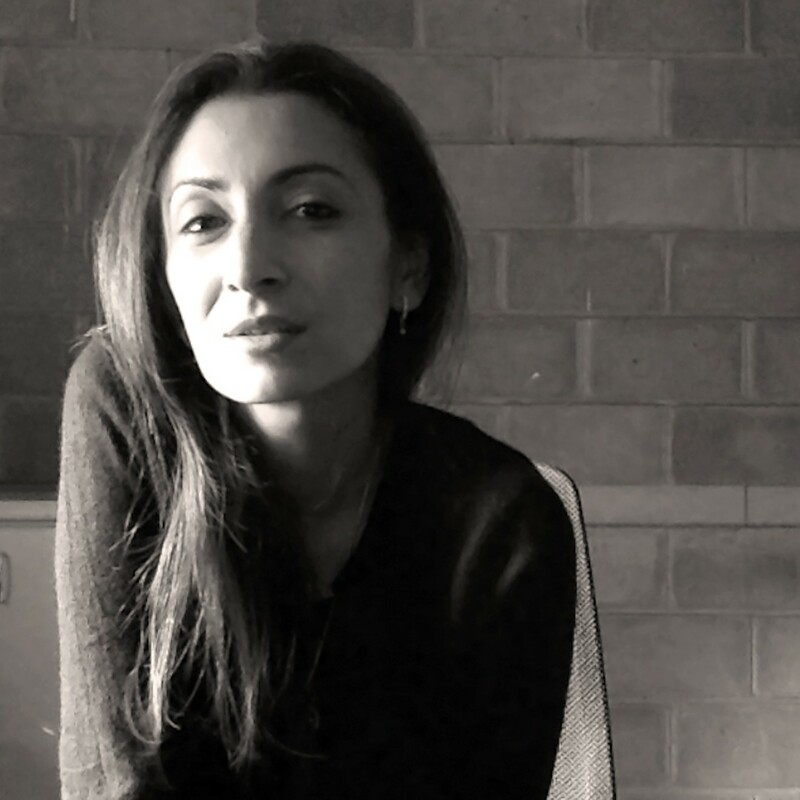 Asma Mundrawala is a visual artist and theatre practitioner and holds a DPhil from the University of Sussex UK. She is Associate Professor in the Department of Fine Art at the Indus Valley School of Art and Architecture, Karachi. She has exhibited her work in exhibitions in Pakistan and internationally and has been associated with art education formally since 1996. Apart from a visual arts practice, Asma has a background in theatre since 1997 and has performed in Pakistan and internationally in theatre festivals. She is the co founder of Zambeel Dramatic Readings, a group that renders texts from Urdu literature in dramatic form to live audiences. As part of this initiative she has conceptualised and directed several projects comprising of texts by eminent authors from the subcontinent. She is also the director for the recent initiative Zambeelnaama, an online audio platform that aims to showcase texts from Urdu literature to a wider audience. Ayesha Omer is a PhD candidate at New York University’s department of media, culture and communication. Her research focuses on conditions of life lived under duress, marked by death. She has examined such conditions in the case of the Hazara-Shia protests with dead bodies, as well as the impact of sonic violence on those living under drone warfare. Her dissertation investigates indigenous life-making practices in relation to socio-ecological transformations and infrastructural development in the Thar, Gwadar and Gilgit regions of Pakistan. Additionally, her multi-media performance art practice attends to disruptive movement practices in public space, emphasizing normative hierarchies of visibility, speech, and history. Cosima Brand is an Australian writer and art lover currently living and working in Islamabad. With a Bachelor and Master’s Degree in International Relations, Cosima has worked as a political analyst and freelance writer and contributor for over eight years. Her relationship with and love of art began at an early age with a creative upbringing and education and continues to evolve through her role as a writer. Dominic Rouse was born in England in 1959. His career began in photojournalism in 1977 and has progressed through various stages into the world of fine art. He makes toned silver gelatin prints from digitally composed, plate negatives in short limited editions. This later work has received international recognition and has been published and exhibited across the European community as well as in the Americas, Asia and Australia. Dua Abbas Rizvi (b. 1987) is a visual artist and writer based in Lahore, Pakistan. She graduated from the National College of Arts, Lahore, in 2010 with a Distinction in painting, the Shakir Ali Award for excellence in fine art, and the Sir Percy Brown Prize for excellence in history of art. She has exhibited widely across Pakistan and has had numerous international shows. In addition to her studio practice. Rizvi writes regularly on art and culture for Dawn, Herald, ArtNow, The Friday Times, and Libas International and teaches drawing, painting, and art theory at the NCA, Lahore. Durriya Kazi is an artist based in Karachi. Currently she heads the Department of Visual Studies, University of Karachi, which she helped establish in 1998. She has contributed to both the theory and practice of art. through exhibitions, writings and presentations both nationally and internationally. Her research and practice has focused on exploring existing art practices outside the gallery. This includes extensive research on vehicle decoration, cinema painting, crafts, social history, colonial history, and cultural diffusion. Farida BATOOL is an independent artist who explores Pakistan’s political upheavals and tumultuous history. She frequently showcases her work at international art galleries around the world. Farida received her BA in Fine Arts from the National College of Arts, Lahore, her MA in Art History and Theory from the College of Fine Arts at the University of New South Wales, and her PhD from the Centre for Media Studies at The School of Oriental and African Studies, London. She is currently teaching and heading the Department of Cultural Studies at National College of Arts, Lahore, and has authored a book, Figure: the popular and the political in Pakistan. Faryal Ahsan is a visual artist and writer based in Lahore, Pakistan. She graduated from the National College of Arts, Lahore, in 2014 with a distinction in Miniature Painting. Ahsan has showcased her artwork widely across Pakistan and has also had shows in Indonesia and Italy. She was a selected participant in the renowned VASL residency in Karachi, 2014. Furthermore her work is in the permanent collection of the Imago Mundi Project in Italy. 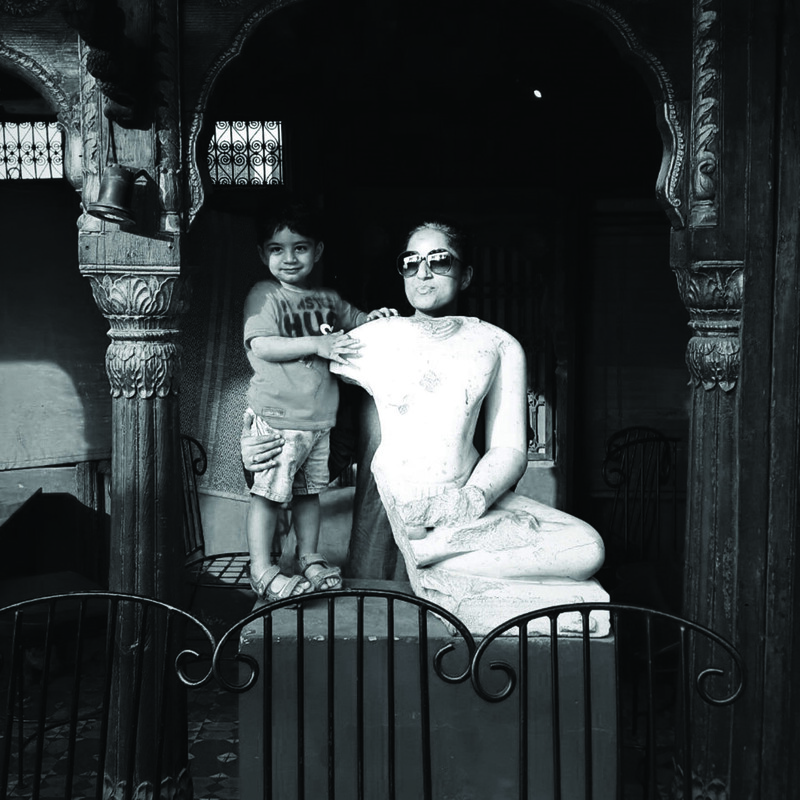 In addition to her studio practice Ahsan works at NCA as a Teacher’s Associate, she teaches Art at LGS and writes regularly for the digital magazine ArtNow. Faiza Habib is a designer, educator and a fiber artist with an undergraduate degree from Indus Valley School of Art & Architecture in Textile Design. Having taught at Indus Valley School, Textile Institute of Pakistan and Visual Studies at Karachi University, she has been a member of Board of Studies at Textile Institute of Pakistan for Textile Design Technology Program since 2015. Moreover, she has worked as a freelance designer for several leading design houses and is currently pursuing her Masters in Mass Communication from University of Karachi. Fawzia Naqvi is CEO of Al Nissa Communications and Editor-in-Chief of ArtNow Pakistan. She was previously the Publisher and Editor of Zameen Publishing, UK, the Manager of Communications at South Magazine, New York, and Manager of Supplements, Dawn Group of Newspapers, Karachi. She is a senior media professional who has worked in the government sector in Islamabad as the Media Advisor to the Chairman, National Accountability Bureau. Naqvi has expansively written on social and accountability issues and was the Founder and President of MWPJO (Media Women Publishers and Journalists Organization). Naqvi is a member on the Board of the Aman Foundation, a member of the Managing Committee, Lady Dufferin Hospital, Karachi, and Honorary CEO and Trustee of the Foundation of Museum and Modern Art (FOMMA), Karachi. She is a trustee of the Lahore Biennale Foundation and a board member of the National Academy of Performing Arts (NAPA). Naqvi is also an avid golfer and the Lady Captain of Karachi Golf Club. She has a postgraduate degree in International Relations (Near and Middle Eastern Studies) from SOAS, University of London. Farah Mahbub was born and brought up in Karachi. She attained her bachelor’s degree in fine art, literature and psychology. Being primarily self-taught, she has been working as a professional photographer since 1988. Her photographic journey has taken its course through exploration of various genres, ranging from fine art, commercial, architectural and landscape photography. However, for her, personal self-expression is best conveyed through fine art photography, which she continues to explore and dedicate her abilities to. Working formerly in analogue, her present work now is primarily in the digital format. As a practicing, visual artist, Farah’s work has been exhibited both locally and internationally. Her work has also been published in multiple books most notably Journeys of the Spirit: Pakistan Art in the New Millennium. Farah joined the Indus Valley School of Art and Architecture in 1997 as a faculty member, where she has been ever since. Under her tenure, photography has evolved from a single class into an undergraduate minor spanning the Communication Design, Fine Art and Interior Design departments. Born and brought up in Quetta, Pakistan, I went to Karachi to complete a Bachelor’s in Fine Arts from Indus Valley School of Art and Architecture. Since graduation, I have constantly been on the move, which has fuelled my passion for travel and begun to deeply inform my work. I have been using letters and photography to tell small, fragmentary stories emerging from my travel experiences in different places. My work explores the potential of letters and its parallels with photography, using text as object alongside photographs and found material, in boxes. Hurmat Ul Ain is an interdisciplinary artist and art educationist. Her work is performative in nature and deals with concerns relating to body, gender, food, hospitality and service. She has a BFA from National College of Arts in Painting (2006) and an MFA in Performance Art from School of Art Institute Chicago (2011) where she was studying as a Fulbright Scholar. Ain has been teaching, building curriculum and curating structures for academic archiving at School of Art, Design and Architecture (NUST) in Islamabad since 2011. Her work has been shown in the U.S, U.K, India, China, Dubai, Japan, Australia, Hong Kong, Germany, Australia and Pakistan. Gemma Sharpe – Gemma Sharpe is a Humanities Fellow, PhD Candidate in Art History at the Graduate Center, City University of New York (CUNY). She teaches Art History at the City College, CUNY. Between 2010 and 2014 she taught Art History at the Indus Valley School of Art and Architecture in Karachi, where she was also a Coordinator at Vasl Artists’ Collective. She has an MFA in Art Writing from Goldsmiths and has contributed to numerous magazines, exhibition catalogues and publications internationally. Haajra Haider Karrar – Based in Karachi, Pakistan. I am an independent curator with a focus on creating occasions for alternate discourses in contemporary art practice navigating socio political and urban infrastructures in the transitory landscape of South Asian cities. I am interested in the potentiality and texture of spaces and mediums, employing interdisciplinary modes of knowledge production. I am also a core member of the Tentative Collective, a group of individuals from diverse backgrounds who share resources and create interdisciplinary works of art in everyday urban space. Haider has curated shows in galleries and museums nationally and internationally and has worked as the curator of IVS Gallery, Indus Valley School of Art and Architecture. Hamza Ali, casually known to his friends as Kuki, has a roving eye for the ubiquitous and a penchant for the ordinary. He refers to his subjects as inhabitants If the realm of the Human Canvas and constructs tales of their lives and living as if they were existential narratives. Haseeb Amjad I’m an architecture major from Indus Valley School of Art and Architecture. It was architectural photography that led me to turning my passion into a profession. I have been working as a part of Karachi-based Lighthouse Photography for the past three years. Iftikhar Dadi is an Associate Professor at the Department of History of Art at Cornell University. He is the author of Modernism and the Art of Muslim South Asia (2010) and the edited monograph Anwar Jalal Shemza (2015). He has co-edited Lines of Control: Partition as a Productive Space (2012) and Unpacking Europe: Towards a Critical Reading (2001). As an artist, Iftikhar Dadi has collaborated with Elizabeth Dadi for twenty years. Their practice investigates popular media’s construction of memory, borders, and identity in contemporary globalization, and the productive capacities of urban informalities. Their work has been widely exhibited internationally. Imrana Tanveer (b. 1985) is a visual artist based in Karachi. Tanveer holds degrees from the National College of Arts, Lahore, and Textile Institute of Pakistan, Karachi. Her work incorporates weaving and textiles, and appropriates iconic images from both Western and Pakistani art and culture to address social and political issues. She has been awarded the gallery exhibition prize and is one of the 30 finalists of Sovereign Asian Art Prize ’17. She is also the winner of IEAA 2016 awards exhibition in Brussels, Belgium. She has been shortlisted and featured in Golden 15 award category of IEAA hosted by Sabrina Armani Gallery, Dubai in May 2014. Islamic Art Magazine featured Tanveer’s 1st solo show in top 10 solo and retrospective exhibitions of 2013. Her work is part of renowned collections of British High Commission office Islamabad, Amin Gulgee Gallery Karachi, Ierimonti Gallery USA, AAN collection to name few. She is currently holding the post of Art Director at Morpheme Studios and lives in Karachi, Pakistan. Iqbal Geoffrey was born in chiniot in 1939. January 1960 he migrated to london where he ruffled many delicate feathers by asking: ‘if Jesus Christ were to descend in Piccadilly, would he find room in the Mayfair! ‘. He is the original progenitor of postConceptual art and ultramodern miniature painting since early fifties! He is the only paris biennial laureate left alive in the asio-pacific-@frican Triangle !!! Sir Herbert Read mentioned him as an “astonishing phenomenon”. Queen Elizabeth has praised him as ‘the arts counsel of great britain.” The lahore high court has described : ‘he is a world class public interest lawyer!’ the illinois supreme court acclaimed him to be “superior intelligence”. These days Geoffrey camps in Lahore convinced that The Day Shall Dawn domestically soon!. His fans include Marcel Duchamp! His next art shows, Deo Volenti, will be at the lahore art gallery and the sanat initiative. In 1955 Geoffrey founded the outrageously exclusive ” iqbal geoffrey university of art criticism”. In 1960 he inaugurated the democratic “royal academy of artists ” in order to defy the system and overturn apple carts! He obtained twelve degrees. And is prominently included in “the who’s who in America'” since he was 22.
iftikhar Salahuddin is an Ear, Nose and Throat surgeon in Karachi. He is an avid photographer, and his work has been exhibited in art galleries, and his photographs published in various magazines and newspapers. He is the author of the book Jerusalem– A Journey Back in Time. He was one of the three authors awarded the 2013 Peace Prize sponsored by the Federal Republic of Germany and the Karachi Literature Festival. Iram Zia Raja is an associate professor of Design at the NCA. She is currently a doctoral candidate at the Punjab University. She has worked extensively on art education in South Asia especially Lahore and has presented her research on this subject in various seminars and conferences. As a practitioner of Design, she has shown extensively in and outside Pakistan. Jamal Ashiqain is an artist, curator, writer and a social human rights activist. He started his career in the field of art a photographer in 2002, Jamal later started blogging and writing about the art exhibitions in Karachi, his hometown. He has been extensively documenting Karachi’s art scene since then. It was only in 2009 that he participated in his first group exhibition at IVSAA gallery. After which he exhibited his digital artworks in several galleries. He has exhibited paintings, drawings, installations, and sculptures. He also did performances and did his first solo show in the year 2017, he recently started curating art exhibitions. His debut curatorial project was at spaces gallery, after which he has been curating conceptual, shows in different galleries. Jamal has recently been awarded special price in photography at the Niggah art award. Jahanzeb Haroon (b. 1990) is a visual artist based in Lahore. Haroon studied fine art at the National College of Arts, Lahore, from 2013 to 2018, where he was a painting major. He has exhibited at the Young Artist Exhibition, Alhamra, Lahore, and contributed to ArtNow as a photographer and writer. In January, 2017, Haroon was selected to spend a term in Siena, Italy, for The Siena Art Institute’s Study Abroad Program. He is an active member of ‘The Collaborative Corpse’ (a group of surrealists from around the world working in the ‘Exquisite Corpse’ manner), and has been featured in their 2010-2011 catalog. 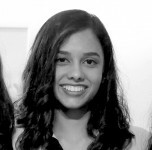 Jovita Alvares is a recent graduate from the Indus Valley School of Art and Architecture and has joined Al Nissa Communications as Assistant and Designer as well as Sub-Editor and Writer for ArtNow Pakistan. As valedictorian for the class of 2016, Alvares has received her undergraduate degree in fine art with a distinction in thesis and an overall distinction. She has received numerous awards including the Imran Mir Art Prize in 2016. Alvares is a visual artist by profession and has had multiple group shows in Karachi and Dubai. She has also participated in the 4th Sanat artist residency earlier this year. Settled and working in Karachi, she regularly reviews and interviews for the magazine. Julius John Alam is a Lahore based artist. He received a BFA from the National College of Arts, Lahore in 2013 and an MFA from Parsons the New School for Design in 2016, where he studied on a Fulbright Scholarship. His work has been shown in various shows in Lahore, Karachi, Dubai, Philadelphia and New York. He has exhibited at Participant Inc, New York, 1×1 Gallery, Dubai, The New School, New York, 12 Gates, Philadelphia, Gallery of Light, DUCTAC, Dubai, Canvas Gallery, Karachi, Koel Gallery, Karachi, Sanat Initiative, Karachi, Taseer Art Gallery, Lahore, and Rohtas II, Lahore. He currently teaches at the National College of Arts, Lahore and writes for various art publications. Kohi Marri – In a short duration of time, Kohi Marri has established himself as a leading photographer of Pakistan. Although his inventive view of the fashion world has won him many kudos, his roving eye propels him to seek out the underbelly of the city in which he resides. Trained as an architect from Oxford Brookes University with a minor in Photography, Kohi chose to pursue his passion in photography. I graduated from National College of Arts with a degree of Bachelors in Architecture Design. Soon after graduation I worked at Naeem Pasha Architects and planning consultants for a year as an assistant Architect. During my time there I was also appointed as the assistant curator at Rohtas Gallery Islamabad. As an assistant curator I got involved with Art now where I started contributing articles on art exhibitions in Islamabad. After that I started my own private practice in Islamabad by the name of Dar Architects and design consultants. Dar Architects mostly focused on private and semi-private projects so far, alongside that I contributed to NCA Architecture studio as a visiting lecturer. In September 2017, I moved to Germany for my masters in Landscape architecture and currently I am working at Neumann Gussenburger Landscape Architects in Berlin, while I complete my masters. My studio project has been published in the Morgen Post Berlin. Mehreen, or Lali, Khalid grew up in Pakistan. Her father introduced her to photography at a very young age. She has been taking pictures ever since. Lali’s work wanders between themes in landscape, abstraction and documentary photography, but has always centered itself on portraiture. She uses her work as a tool to explore themes of diaspora, identity, family and home in her own life and the lives of people she photographs. Her images depict and document cultural and private conflicts, as well as emotive effects of natural light, through quiet, narrative allusions. Lali earned her BFA from The National College of Arts in Lahore, and her MFA with distinction from Pratt Institute in Brooklyn. Her work has been shown in many galleries throughout Pakistan, Europe and the US. She currently lives and works in the United States where she also maintains an active teaching practice. Lavinia Filippi currently based in London from where she co-curates the international projectcom. Before, she lived in Pakistan and lectured at the National College of Art. In 2014, she curated the exhibitions I.D for the Islamabad Literature Festival and Still of Peace and everyday lives at the Museo Capitolare, Atri (Italy). In 2011 she founded and directed for two years castellodirivoli.tv for the museum Castello di Rivoli in Turin, Italy. From 2007 to 2012, Lavinia Filippi also contributed as correspondent and author to several television shows for the Italian national channels RAI. She has been writing for magazines including Flash Art, ARTEiN, Artribune and ArtNowPakistan, and holds a MA in Curating Contemporary Art at the Royal College of Art, a Laurea quadriennale in Art History from the University of Rome ‘La Sapienza’ and a BA in Social Sciences from the University of Ottawa. Madiha Sikander – Madiha Sikander is a visual artist and writer based in Karachi. Madyha Leghari – Madyha Leghari is a visual artist, writer and a graduate in Fine Arts from the National College of Arts, She lives in Lahore. 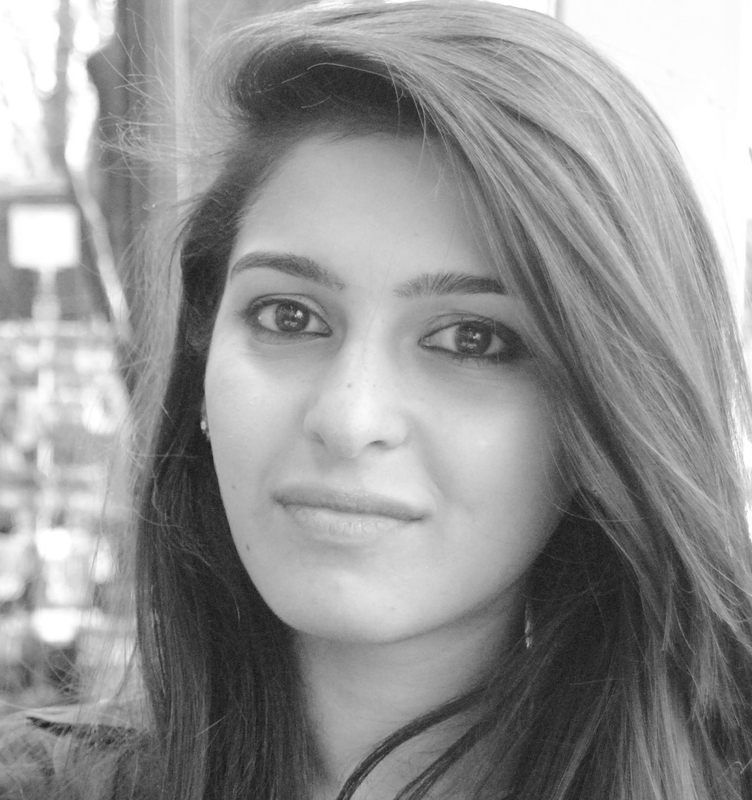 Maha Malik – Maha Malik is a freelance writer based in Karachi. She has a background in contemporary English literature, and has taught at LUMS University, Lahore, as well as Indus Valley School of Art and Design. In 2013 Maha began working with crossovers between art history, visual culture, and literary theory. She has since curated a number of exhibitions, including ‘Intimacy’ (Koel Gallery, 2013); ‘The Weight of Things: New Works by Naiza Khan’ (Koel Gallery, 2014); ‘Under the Molsri Tree | Noorjehan Bilgrami’ (Koel Gallery, 2015); and ‘Markings: Contemporary Drawing and Questions of Space’ (Chawkandi Art, 2016). Maheen Aziz is an Assistant Editor and Writer at Artnow Pakistan and Manager at Al-Nissa Communications. She holds a Master’s degree in Political Science with first class second position from the University of Karachi. An active student and participant, she has won various debate competitions in her college and university. Her interest in writing led her to start her career as a writer. She wrote articles on national and international issues and was also associated with different websites as a content and academic writer. Maheen has also been a part of an event organization from 2012 to 2014 as an event organizer and strategic planner. In 2016, she joined The News International, Jang group, as a writer and sub-editor. Currently she is settled in Karachi. Marjorie Husain and her husband moved to Pakistan from the UK in the sixties, it was natural for them to land in the local art community as both of them were students of art. Over the years Marjorie became an integral part of the Pakistani art scene on several levels: artist, art critic, curator, writer and documenter, lecturer, a close friend of the art community, and a dedicated patron of Pakistani art. She has been a constant on the art scene for four decades now, and shares her memories of the history and evolution of art in Pakistan. Marjorie continues to be an active art writer and a force to reckon with in Pakistan’s art fraternity. Mahvish Farid– Mahvish Farid graduated from Indus Valley School of Art and Architecture in 2013 with a degree in Fine Art. She has worked as an Assistant Editor at ArtNow, and is currently freelancing as an art writer and designer. Mariam Qureshi – Mariam Qureshi graduated from the National College of Arts in the department of Fine Arts printmaking in 2005. She has been writing on art and old Lahore for renowned newspapers like Daily Times, The Nation and Pakistan Today. She has also worked as a researcher on old Lahore for Office of Conservation and Community Outreach (OCCO). She has been associated with various art magazines for the past 7 years. 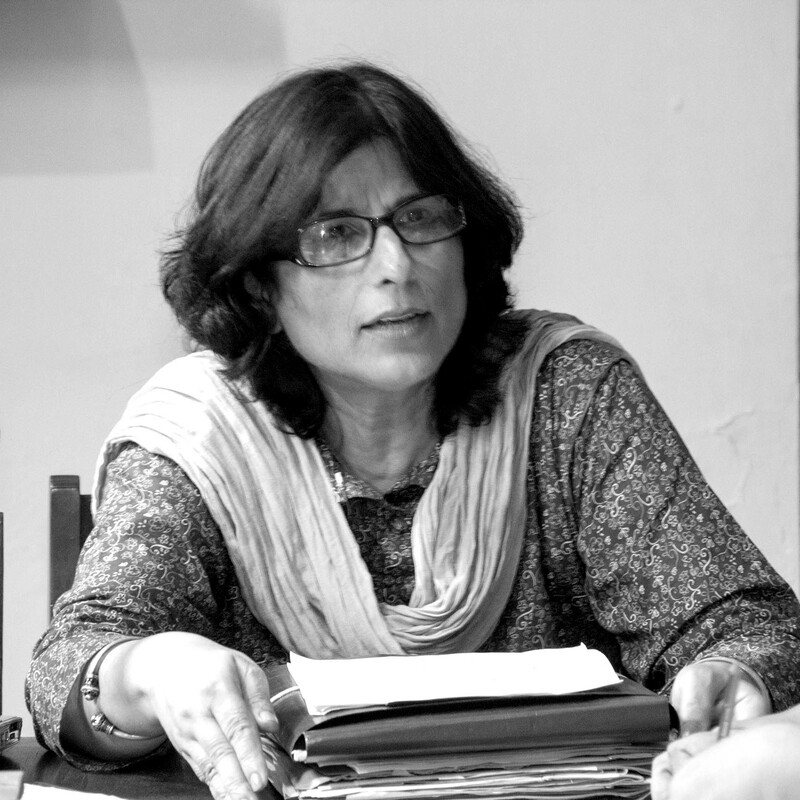 Mariam Qureshi has not only covered art exhibitions, artists interviews and researched based art related topics on art but also archival research and field work based articles on Old and new Lahore. She has taught as a Teacher’s Assistant in art history National College of Arts Lahore for 3 years. She has taught Art seminar to Fine art students final year at The National College of Arts Rawalpindi campus in the year 2016. She is currently based Islamabad and freelances for various art magazines from there. Michael Kempson – Michael Kempson is Convenor of Printmaking Studies at the University of New South Wales Art & Design in Sydney, Australia. Kempson is also an advisory board member of the International Academic Printmaking Alliance, formed in Beijing (2016-) and was the International Member at Large for the Southern Graphics Council International (2014-2016). As an artist, he has held 32 solo and over 200 group exhibitions, the most recent being Michael Kempson: Work and Play at Song Ya Feng Art Centre, Beijing (2017). Kempson also initiates printmaking projects in his position as Director of Cicada Press, a research group at UNSW A&D, working with over 200 significant Australian artists, resulting in 60 exhibitions in the Asia-Pacific. Kempson has also contributed to a number of art journals including: Art in Print (USA); ArtNow (Pakistan); IMPRINT (Australia) and Artist’s Profile (Australia). Malcolm prefers to concentrate on the root causes of a society’s problems rather than the headline making violence, believing wholeheartedly that only by understanding the lives of others may we find the strength to change. That means he is increasingly representing the poor in his work and how the environment is impacting on their lives. He chooses to photograph with the most basic equipment and the surfaces of his images are marked with scratches and dust, showing the circumstances under which the images were made. Rather than slicing instances he manages to hold moments of time as if we, like the subjects are holding our breath. Visual artist and photographer Mo Shah employs surrealist cinematic techniques to merge reimagined histories with striking future states. A fascination with cinema, history, existentialism, fringe cultures, music, iconography and the occult pervades his work. Shah’s compositions consolidate any number of his interests into dreamlike narratives that seek beauty in despair. Born in Karachi, Pakistan, Shah has lived in Brussels, London, Lahore, New York and Hong Kong. His latest solo show, Test Pattern Infinity, opened at Hong Kong’s Fabrik Gallery in August 2015. A graduate of New York University, Mo Shah’s works have been selected for group shows at New York’s A.I.R. Gallery, Abrons Art Center (Henry Street Settlement) and Diva. Nabah Ali Saad is an Assistant Professor teaching 4th Year Architecture Studio at COMSATS Institute of Information Technology in Lahore, Pakistan. She completed her Bachelor’s degree with Honours from the National College of Arts, Lahore in 2008 and received a Master’s Degree in Architecture from the Dessau Institute of Architecture in Germany in 2014. 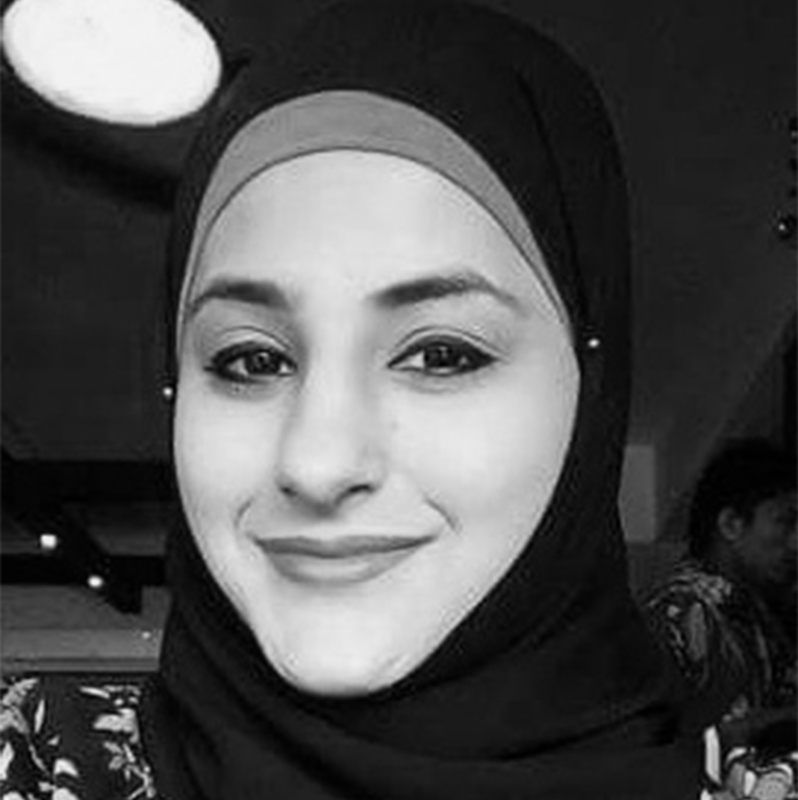 Nabah has previously worked with prestigious national firms such as Arshad Shahid Abdulla and EA Consulting in Karachi, Pakistan before embarking on her academic career where she now enjoys engaging undergraduate students in developing their own narratives of analysis so as to create critical discourse. Her core areas of study and research lie in Urbanism and the various paradigms and dichotomies which create the urban fabric of cities. Nageen Javaid Shaikh is an art Writer, Industrial Designer, Blogger and an astrophile from Karachi. She is currently a Fulbright Scholar in the Masters program in Art History and Criticism at State University of New York- Stony Brook and regularly contributes for Art Now, Youlin Magazine and her online platform ‘Blogger’s Canvas’. She has also worked for non for profit education sector and has provided extensive career and educational counseling. Nageen highly advocates traveling solo. With degrees in Fine Art Painting (2004) and M.A honors in Visual Art (2012) from the National College of Arts, Lahore, Pakistan, the practice of Lahore based artist Nashmia Haroon revolves around the changing urban landscape of major cities, presenting a clear metaphor of the regressive nature of these so-called progressive ideas of politically weak structural developments and decisions. In one of her other projects, she is involved with making fictional collaborative works with other artists of Pakistan by taking their photographs in a pre-conceived environment that is reflective of their own practice, and social/family structures.Her work speaks through the medium of photography, video, sculpture and drawing.Also,she has a fully equipped photography studio in Lahore under Nashmia Haroon Photography. 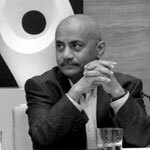 Haroon has shown works in Pakistan widely, and in India, Cambodia, UK, USA, and has regularly published works with local magazines like ArtNow Pakistan, Herald, and internationally published with Reuters, The Boston Globe etc. Nashmia Haroon has taught at the Beaconhouse National University and the National college of Arts and is part of the visiting faculty (Fine Arts department) at the National College of Arts currently. Nadeem Omar Tarar is the Director of the National College of Arts, Rawalpindi Campus. He holds a PhD in Art History and -Theory from the University of New South Wales and has also been affiliated with the School of Oriental and African Studies, University of London, as a Post-doctoral Researcher, and with MIT as a Post-doctoral Fellow. He is author of Anthropology in Pakistan: the State of Discipline in State of Social Sciences in Pakistan, and has also been published in Economic and Political Weekly, International Journal of Art and Design Education, and the Journal of Germanic Mythology and Folklore. His areas of research include colonial and post-colonial art/education, and the history of books in South Asia. His current interests include research on the sociology of indigenous and colonial knowledge in Pakistan. Natasha Jozi is a visual thinker, artist and writer, interested in the performative self, collective experiences, eastern philosophy. She is a Fulbright Scholar, with a Masters in Studio Arts majoring in Performance art from Montclair School or Arts, she currently resides and works in Lahore. 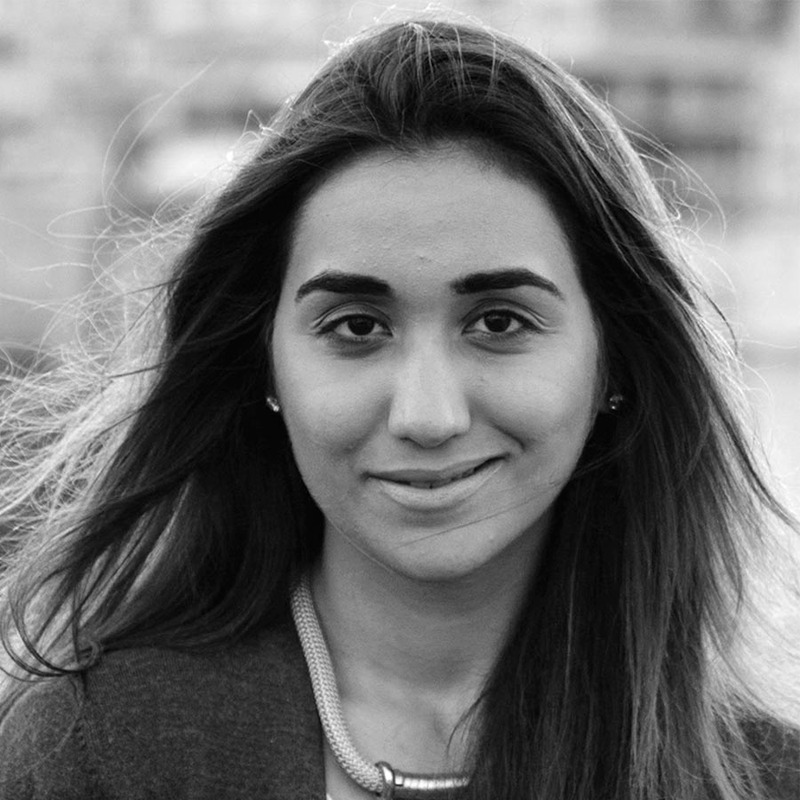 Nour Aslam is currently at the Royal College of Art, continuing her studies in the masters course, Curating Contemporary Art. Previously, she was Director of External Relations for the Lahore Biennale 01, and joined the Lahore Biennale Foundation as Director of Programs in August 2015. Beforehand, she was the Head of Gallery Development at Art15, an international art fair based in London, and Head of Sale for Bonhams Auction House in the South Asian Art department, but also specialized in Middle Eastern and Turkish Art. During her five years at Bonhams, Aslam put together sales in New York, London and Dubai. Aslam studied at Sarah Lawrence College in Bronxville, New York and has lived in several different cities around the world. Shah Numair Ahmed Abbasi is an emerging artist, freelance writer, and photographer who completed his BFA with a distinction from the Indus Valley School of Art and Architecture in 2014. Formally trained in sculpture and photography, Abbasi finds the play of fabric and the male human body most reciprocating. Consequentially, he coalesces the two domains and fabricates narratives that stage a personal or social discourse – often arisen from anecdotes either experienced or witnessed. Abbasi further critiques the politics behind social gender constructs while also attempting to burst the myopic perception towards the canon of male nudes. He has also attained diplomas in the French language awarded by the French Ministry of Education. Abbasi is currently practicing full time as a visual artist and reviews art exhibitions for various publications, while also teaching Art & Design at an O Level Institution. Nimra Khan is an artist and art writer based in Karachi, Pakistan. She graduated from the Indus Valley School of Art and Architecture with a Bachelors in Fine Art in 2012 and was the recipient of the Dr. Saieem-uz-Zaman Siddiqui Award for Best Dissertation. She has been part of a number of group shows and her essays and reviews on Pakistani art have been published in numerous exhibition catalogues of the Sanat Gallery, and in Dawn EOS, ArtNow Pakistan, Newsline and the Friday Times. Her writings were also featured in “The First 50”, a collection of essays and articles published by the Sanat Initiative. Noor Ahmed is an independent artist, critic and curator based in Karachi, Pakistan. After studying History of Art and Fine Art in New York, she returned to her city of birth in 2014 to cultivate her own artistic practice. Including ArtNow, she has contributed to a number of books, exhibition catalogues and art publications. Her areas of interest include intersectionality and postcolonial dialogues. Nadia Khawaja graduated from the National college of Arts, Lahore with a distinction in printmaking in 2001. She was an exchange student for a year at the Ecole d’art d’aix en provence, France, where she explored diverse mediums such as photography, photo montage, collage, video, screen- printing and poetic texts. She also explored classical music and dance after graduating. More recently she has been working on large scale drawings, neon works, digital works and painting. Her work has been shown in various group and solo shows nationally and internationally. Nadir Toosy is the founder of The Resource Collective. In 2008 Nadir traded in his Law school books for a Nikon and hasn’t looked back since. With his eye trained on the prize of poignant moments frozen in time, Nadir honed his skill relentlessly on the streets and in the studio equally. The desire to connect on a human level while alluding to the mythic quality inherent in every project is what propels him to approach each project with fresh eyes and energy. Guided by the compass of Integrity, Skill, Thought, and Dignity, Nadir founded The Resource Collective to elevate visual conversations in Pakistan. Naila Mahmood is a Karachi based visual artist, writer and documentary photographer. She teaches at the Indus Valley School of Art and Architecture and is the Director of the Vasl Artists Association. Her work revolves around the complexities of urban spaces. She also does research based photographic projects. Her work has been shown nationally and internationally in Pakistan, USA, India, Dubai, Germany and England. Nazia Akram is an artist, photographer and documentary filmmaker. After graduating with a BFA from Indus Valley School of Art and Architecture in 2005, Nazia pursued a MFA from Central St. Martins in London, in 2011 concentrating primarily on video art. She then studied documentary film making from the London Film Academy in 2012. Since graduation she’s held several exhibitions of her work in Pakistan, London and in Geneva. Her photography has also been published in two major coffee table books in Pakistan- one for Coke Studio and the other one entitled ‘Kam Sukhan’. She has made a documentary on the Sufi tradition in Pakistan entitled ‘Journey of the Soul’ as well as, ‘ Sisters in Arms’ an ISPR documentary focused on empowerment of women in the armed forces. Nashmia Haroon is a professional photographer for commercial and artistic endeavours with national and international exhibitions to her credit. Nashmia’s camera captures words that transcend into art form. Omar Kasmani is a post-doctoral Research Associate in Social and Cultural Anthropology at the Collaborative Research Center “Affective Societies” at Freie Universität, Berlin. His research interests lie at the intersections of gender, queer futurities, and the politics of Muslim devotional life-worlds. He has previously conducted long term fieldwork with women, men, and trans*gender fakirs in Sehwan, Pakistan. 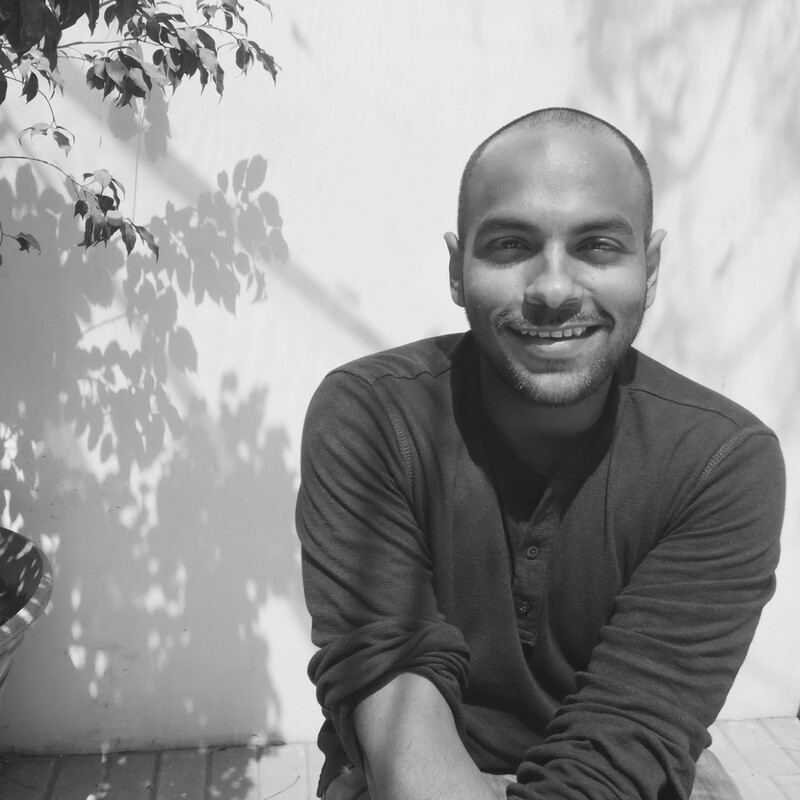 His current work explores the inter-affective dynamics of belonging in Berlin while a subsequent line of research enquires into the politics of queer desire in urban Pakistan. Omar has co-edited the volume Muslim Matter (Revolver Publishing, 2016). Omer Wasim has a BFA in Interdisciplinary Sculpture and an MA in Critical Studies from the Maryland Institute College of Art (MICA), Baltimore. He has been teaching and practicing in Karachi since 2014, and is currently a faculty member of the Liberal Arts Programme at the Indus Valley School of Art & Architecture. Quddus Mirza is a well-known art critic, artist and educator. He is Professor and Head of the Fine Arts department at his alma mater National College of Arts (NCA) in Lahore. Mirza has written comprehensively about art in Pakistan for several national and international publications. He has also co-authored the books “50 Years of Visual Arts in Pakistan”, “The Rising Tide” and “Hanging Fire”. He is the Editor at ArtNow Pakistan and also writes for The News. Quddus Mirza has successfully curated several national and international art exhibitions. In his long career as a painter he is known for his spontaneous yet calculated multifarious themes in acrylics and oil primarily. Rabeya Jalil is an art educator and visual artist based in Lahore. She did her undergraduate studies in Fine Art from the National College of Arts (NCA), Lahore in 2005 and her Masters in Art and Art Education (Ed.M.) from Columbia University, Teachers College, New York, on a Fulbright Scholarship in 2013. Her art education practice involves working with school art teachers, children with special needs, and individuals from low-income families and culturally diverse populations. She collaborates with children (through Bachon se Tabdeeli, an art education initiative) to explore their creative expression and suggest curricular intervention through the arts. In the last four years, she has worked with a grant award from the HEC (Higher Education Commission, Pakistan), a US State Grant for Bacho se Tabdeeli, an ITA/ USAID grant for Mapping Migrations, the Prince Claus award of the Netherlands for Bacho se Tabdeeli, the Centre for Culture and Development (CKU) Danish grant for Stories We Telland on a US (PUAN) grant on a curriculum development project with a special education government school for blind girls. Jalil has presented at (Art Education and Printmaking) conferences in Lahore, Islamabad, New York, Fort Worth (Texas), San Diego, Chicago, St. Louis (Missouri) and Istanbul, and has exhibited her work in Islamabad, Lahore, Karachi, U. A. E., U.S.A, Spain, Portugal and India. Jalil is an Assistant Professor at the Beaconhouse National University, School of Visual Arts and Design (BNU-SVAD) in Lahore and the Program Head of the MA Art Education Program at BNU-SVAD. She worked with the Indus Valley School of Art and Architecture in the Department of Fine Art from 2007-2015. Raheel Tajuddin Lakhani is an educational design professional and a self-taught photographer. He has published in two coffee-table books and participated in local and international group exhibitions. He is a recipient of High Honors in Master of Education from The Aga Khan University. He was selected as a digital innovator in an academic scholarship program ‘Social Innovation in Digital Context’ (MA, Technology and Social Change) at Lund University funded by Swedish Institute, where through the initiative “Chirag’an” he explored the development of a digital storytelling approach for promotion of creative and pluralistic expression in Pakistani context. His interests include eLearning pedagogy, learner’s autonomy, freedom of expression and pluralism, visual/textual narratives and digital collaborations. Razin Rubin was born in 1994 in Sukkur, Sindh, situated on the west bank of River Indus. During her time in Sukkur she was more focused on drawing and won a number of awards for her school. Rubin decided to take her art practice forward and came to Karachi to study art in 2013, and received her B.F.A with a distinction from the Indus Valley School of Art and Architecture, Karachi in 2016. She has explored various mediums, but her studio practice focuses on miniature painting, drawing and photography. Rubin’s work interacts with the viewer and creates a dialogue around the things she has witnessed. Her work exhibited in Pakistan and she has also taken part in two artist residencies. Rubin currently lives and works in Karachi. Rashid Arshed graduated from Mayo School of Art, Lahore in 1960. He received his Bachelor of Art and Master of Art Degrees from Karachi University, and studied Print Making at Rutgers, New Jersey. Arshed has served as Head of the Fine Art Department at Indus Valley School, and as Principal of the Central Institute of Art and Crafts, Karachi. His innovative contemporary calligraphic paintings address aesthetic issues. Rashid Arshed’s work has been shown at many art galleries around the world, including the Aldrich Museum of Contemporary Art, Ridgefield, CT, The Heckscher Museum, N.Y., and at major art galleries in Pakistan. Rehmat Hazara is an art student based in Lahore. trained as a graphic designer from Central Institute of Arts & Crafts, Karachi. She has had an evolving career: from teaching art (KGS, IVSAA) to making fabric-toys, fabric quilted artworks (Children’s Ward at the AKUH and IUCN in Karachi and Gland, Switzerland) and as an innovative school head of the CAS School (1986-1996), teacher-trainer, educational consultant, illustrator, writer and free-lance contributor to English newspapers and monthly and quarterly magazines. She is the author of a much-acclaimed coffee-table book, ‘Karachiwala – a Subcontinent within a City’ (JAAL, 2010) about Karachi’s diverse communities, documenting over 60 individuals and families. She has also authored ‘Street Smart: Professionals on the Street’ (JAAL, 2015). To-date Rumana has written and / or illustrated over 60 children’s books, and developed numerous teachers’ manuals for several publishers including the Oxford University Press (OUP), Danesh Publications, ERDC and the Bookgroup, which she co-founded in 1988. In 2005 she co-founded NuktaArt – an international art magazine, and was its Senior Editor until the magazine closed down in 2014. She worked as Head, Activism & Outreach at the Children’s Museum for Peace and Human Rights (CMPHR) (2001 – 2010) and to-date continues to be its consultant. 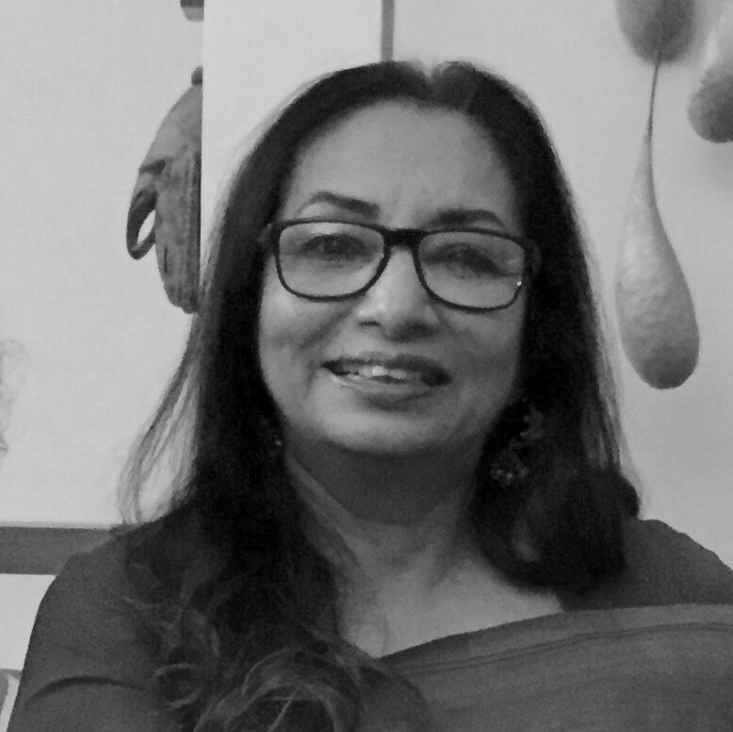 Rumana is an Honorary Director on the Board of the Children’s Literature Festival (CLF), Honorary General Secretary of the Karachi Conference Foundation, and a Founding Member and Honorary Member Executive Committee of I AM KARACHI (IAK). She has been a project champion for one of IAK’s core projects – Wall Paintings – around Karachi city. Sajjad Ahmed has participated in several exhibitions in Pakistan and internationally. His work addresses a diverse scope of concerns around art, representation, abstraction, semiotics, region, religion and globalisation, manifested through assemblages of found-imagery, and executed in an array of mediums; prints, installations and time-based mediums. Ahmed is an awardee and alumni of South Asia Foundation. His artwork has been taught at City University of New York in 2009-10 as part of coursework. In 2011, his works around research of ‘oculus’ paintings from Renaissance, were inducted as a permanent installation at the Slought Foundation, Philadelphia. Ahmed’s works are in various art collections in Asia, Europe, Middle-East and North America. Ahmed is an awardee and alumni of South Asia Foundation, as well as finalist for Sovereign Asian Art Prize. Recently, Ahmed’s work was exhibited and included in permanent collections of Cathedral Museum of Atri, Italy and Moscow Museum of Modern Art, Russia. Saba Khan – Lives and works in Lahore. 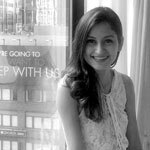 Saba Khan completed her BFA, from National College of Arts, Lahore, (Distinction), and MFA from Boston University, on Fulbright Scholarship. She teaches at the National College of Arts and founded Murree Museum Artists’ Residency, Murree, an artist-led initiative to support artists/writers, in 2014. Khan’s work is pumped with humour and satire; it looks at the class divides through layers of local aesthetics. Glitter, paint and crystals are used as tropes to comment on the emerging affluent-class, along with the ‘bad-tastes’ exhibited through religious ceremonies, homes and the bazaar. The works also make acerbic commentary on political and social conditions with inside-jokes and symbols while not preaching on a particular stance. Sabahat Nawaz- is a designer and a researcher, whose interests lie in exploring the diverse aspects of design as a communication tool. Her work investigates contemporary ideas of space, exploring what these spaces are capable of producing and privatizing. She is redefining the role of the designer as a social, critical, and political negotiator within space.Trained as a textile designer, Nawaz graduated from National College of Arts, Lahore (2005), and later completed her Masters in Design for Textile Futures from Central Saint Martins, University of the Arts, London. Nawaz has been involved in developing curriculum and courses at the School of Art Design & Architecture, (NUST), Islamabad, where she taught for seven years. Currently, Nawaz is appointed as Associate Professor in the department of Textile Design at Pakistan Institute of Fashion & Design, Lahore. Saira Ansari – Saira Ansari is an independent researcher/writer with an interest in South Asian art history, publishing and science fiction. She has a BFA and an MA (Hons.) in Visual Arts from the National College of Arts, Lahore. She works in Publications and Research at the Sharjah Art Foundation and is a Contributing Editor for the South Asian literary journal Papercuts. She is also an independent consultant on artist monographs for The Third Line (Dubai). Her curatorial projects include The importance of staying quiet (Hong Kong, 2014), a collaborative project with Grey Noise (Dubai), exhibiting six decades of minimal art from Pakistan. Saira was the recipient of the Lahore Biennale Foundation Research Fellowship (2016), granted in conjunction with Asia Art Archive (Hong Kong). She has contributed to various international publications across Pakistan, India, Brazil, USA, UK and Germany. Saira Danish Ahmed is the Associate Editor at ArtNow Pakistan and General Manager, Al Nissa Communications. She has a postgraduate degree in Art & Design Education from the University of New South Wales, Australia and another in History from Karachi University. Ahmed has been an active member of Advisory Committee for Foundation Program at the Indus Valley School of Art & Architecture(IVS )from 2010 till 2012 and was appointed as a Consultant for Art Syllabus (Secondary School Certificate at The Aga Khan University-Examination Board (AKU) from 2009 till 2011. She has been associated with the Textile Institute of Pakistan (TIP) as Assistant Professor & Program Coordinator from the years 2009-2012 and as Adjunct Faculty till 2017. She has also served as HS Art Teacher for the Advanced Placement program at the Karachi American School from 2003 till 2007.Art History and Academic Writing has been her core area in teaching. She served as a special correspondent representing ArtNow Pakistan at the Karachi Biennale 2017 and was also a member of the Karachi Biennale Discursive. Mother of two boys and married to Syed Danish Ahmed she is settled in Karachi. Saira Sheikh (1975-2017) was a visual artist, writer, researcher and an art academic. She was a founding member of the field of art education in Pakistan. Sheikh did her B.A. in English Literature & Psychology from Kinnaird College, a BFA from the National College of Arts (NCA), Lahore, Pakistan and an EdM from Teachers College, Columbia University, New York, New York. She joined BNU as a Lecturer and Academic Coordinator in 2004 and as Assistant Professor she became the driving force behind the Art Education Program at the School of Visual Arts and Design, Beaconhouse National University (SVAD-BNU) in 2010. She was also the Head of Liberal Arts Programme at the Indus Valley School of Art and Architecture (IVS), Karachi till 2016. She has been part of several art residencies and exhibitions locally and internationally. Sajida Ali – Sajida Ali has been writing travelogues, interviews, food reviews, agony aunt columns, general, informative and humourous articles and articles on contemporary women’s issues for various publications for the past two decades. She holds a Diploma from the Indus Valley School of Art and Architecture. Salima Hashmi is an artist, curator and contemporary art historian. Professor Hashmi was the founding Dean of the Mariam Dawood School of Visual Art and Design at Beaconhouse National University, Lahore. She was Professor of Fine Art at National College of Arts [NCA] Lahore and was also Principal of the College. The Australian Council of Art and Design Schools (ACUADS) nominated her as Inaugural International Fellow, for distinguished service to art and design education in 2011. She was awarded an Honorary Doctorate by Bath Spa University in 2016. She is Council member of the Human Rights Commission of Pakistan. Sana Kazi graduated from the National College of Arts (NCA) in 2006 with a Bachelor’s in Fine Arts and in 2012 she completed her Masters in Visual Arts. She is a miniature painter and has worked and taught at the NCA as Assistant Professor. Kazi is currently working as an independent writer and painter. Sarah Imran graduated with Honours from the National College of Arts, Lahore with a Bachelors in Fine Art as a Painting Major in 2013. She is currently based in London, and has worked in various art institutes and galleries over the past 5 years. She works with visitor experience and learning teams, and aims to build a career in Museum & Gallery Education. Sara Vaqar Pagganwala (b. 1986, Karachi) received her BFA (hons) from Central St. Martins, University of the Arts, London. She is a multidisciplinary artist and has been part of several group shows in Karachi, Islamabad and London. Her first show in Karachi was ‘Fresh!’ at Amin Gulgee Gallery, Karachi, where she made an edible body cast of herself. She also participated in ‘70’s: the Radioactive Decade’ at Amin Gulgee Gallery. She was selected for the ‘Women of the World’ show by London Southbank in Karachi for food sculptures. She lately collaborated with performance artist, Sarah Revoltella, for her performance ‘Io Combatto’ for Venice Biennale 2017. She was awarded the Ladies Fund Award of Commendation in Art in 2015. Her trajectory is highly experimental, combining science and art; from food sculpture to performance art to growing crystals. She was also part of ‘Recorded Time’, the first Open Studio in Pakistan at Koel Gallery, Karachi, where she investigated theories of quantum science and crystal growth. Pagganwala currently lives and works in Karachi, where she is an Adjunct Faculty Professor at the Indus Valley School Art and Architecture in the Liberal Arts Department and one of the Assistant Curators of the first Karachi Biennale 2017. Seher Naveed was awarded a BFA from the Indus Valley School of Art & Architecture in 2007 and an MA in Fine Art from Central Saint Martins College of Art & Design in London in 2009. Through her work, she has shown an interest in urban geographies as her curiosity lies in temporary barricades and obstructions that are a constant feature in the urban growth of city Karachi in Pakistan. She examines these barriers as alterations to our everyday movement and as super imposed architectural spaces that vacillate in appearance. Seher has exhibited her work on local and international forums and is currently an Assistant Professor in the Department of Fine Art at the Indus Valley School of Art and Architecture. She is a member of the advisory committee for the Murree Museum Artist Residency. Seher recently initiated, developed and curated an on-going research publication project called ‘Drawing Documents’ which aims to investigate new drawing forms in practices within Pakistani art. Tensions of Traditional & Modern Expectations,’ the other, ‘Pakistani Textiles: Contemporary & Historical Causes of Degeneration,’ is a travelogue. Shameen Arshad is an Islamabad based visual artist and writer. She is a Fine Arts (BFA) graduate from National College of Arts, Lahore (2015). Shortly after graduation, Shameen began her curatorial practice, first as a Gallery Coordinator at AQS Gallery followed by the role of Assistant Curator at Khaas Gallery, Islamabad. She also serves an art critic for publications such as Art Now Pakistan, The Missing Slate and Youlin Magazine, where she frequently interviews artists and critiques exhibitions. Currently, she serves as a fourth year Instructor at the National College of Art, Rawalpindi alongside maintaining her painting practice. Shanal is a lawyer by profession and works in the development sector for a corporation in Karachi. Aside from her main endeavors, she takes keen interest in art, culture and art history and has more recently started to work on critiques. After having spent most of her life in Europe, Shanal seeks to uncover the world of art through her writing in Pakistan. She had also previously worked as an Assistant Curator at the Mohatta Palace Museum and assisted in putting together renowned contemporary Pakistani artist Rashid Rana’s first ever retrospective, Labyrinth of Reflections at the Museum in 2012. Shireen Ikramullah Khan is a painter, art critic and educator. She has a BFA from the National College of Arts (2006) majoring in painting with a minor in photography and printmaking. In 2009 Ikramullah completed her Masters (MA) from the University of Manchester (UK) in Art Gallery and Museum Studies. She has exhibited in Pakistan and abroad and worked as an assistant curator, curator and researcher in art galleries and museums in Manchester and Islamabad. She currently writes for the Dawn Gallery and ArtNow. She used to be a regular contributor to Nukta Contemporary Art Magazine and Blue Chip Magazine. She is currently settled in Amsterdam, Netherlands. Sehr Jalilis a painter, thinker, writer, educationist, Sehr Jalil did her BFA (Painting major 0’6) and (MA Hons Visual Arts 0’14) from the National College of Arts, Lahore. Jalil has exhibited her work nationally and internationally since 2006. Currently she is lecturer History of Art and Architecture, BFA and teacher in the Culture Studies MPhil program at the National College of Arts. Jalil also teaches A-level Art and design at The Lahore Grammar School. She has contributed continually to Art Now Pakistan and is writing on artistic research and visual art for international journals. She is a member of the Awami Art Collective and has also been a recipient of ART for Social Change exchange program. Having escaped from the boring field of economics Samreen Sultan is now a full-time practicing visual artist who graduated from Indus Valley school of Art and Architecture in 2014. She engages herself in a variety of freelance designing projects and has been part of various group shows in Karachi, Lahore and a solo show in Karachi, Dec 2016, she exhibited her work in Incubarte 7 Festival International de Art, 2015 Valencia, Spain. She has also participated in Studio BQ residency, Lahore in 2015, as well as Can Serrat Art Residency, Spain in 2016. Currently she is working on a collaborative project with a Romanian artist. Shah Zaman Baloch works to promote and explore his own culture in Pakistan. Graduating as a part of the pioneer batch of Film and TV National College of Art Pakistan in 2008, Shah Zaman Baloch is a passionate individual who believes in the medium of Film and Photography as the very essence of social change. A well-reputed short film director, he has also served as a cinematographer, writer, editor and photographer for many Film and Art projects. He has been acknowledged and recognized for his talent and has received accolades in the form of international awards and scholarships. Shah Zaman is also a professional photographer with formidable knowledge. Shahana Rajaniis an artist and writer based in Karachi. Her recent work explores the politics of development and displacement in the city using interdisciplinary methods and media. She is a co-founder of the Karachi LaJamia and currently teaches at the Social Sciences Department, Institute of Business Administration. Graduating with a BFA from the Indus Valley School of Art and Architecture, Karachi, in 2014, Shanzay Subzwari’s work combines elements from Mughal miniature paintings, currency notes and popular culture. Shanzay has had solo and group shows in Karachi and Lahore. Internationally, she has shown at the Moniker Art Fair, London, U.K, and the Kesisme Municipality, Istanbul, Turkey. She was a ‘Watch and Talk’ participant at the Festival Belluard Bollwerk International, Fribourg, Switzerland in 2016. Shanzay graduated with a Distinction in Dissertation, and the Academic Excellence award in Fine Art. She currently writes art reviews and articles for various publications and galleries. Born in India, Shelley Pirzada pursued her higher education in England. After acquiring degrees in Commercial Art ( in India and London), she obtained a post graduate Diploma in Photojournalism from the London College of Printing (now known as the London College of Communication). Upon completing her education she worked for the Economist magazine, Independent newspaper and with experienced photographers there. After her marriage in 1988, to Haseeb Pirzada, she moved to Karachi and worked with leading magazines such as Herald, Newsline and with multinational companies such as ICI, Sandoz, Smith Kline French. She now limits her work to fine art photography. Dr Simone Wille is an art historian, based in Vienna, Austria. She is associated with the University of Innsbruck and currently leader of the project: Patterns of Trans-regional Trails, where she investigates roots taken by mid twentieth century artists between Bombay, Paris, Prague and Lahore. The project is fully funded by the Austrian Science Fund (FWF). Wille’s publications include her book Modern Art in Pakistan. History, Tradition, Place. New Delhi: Routledge, 2015. She is currently based in Vienna, Austria. Syed Ammad Tahir was born in 1986 in Karachi. He graduated from the Indus Valley School of Art and Architecture in 2008. Tahir is a painter and his works consist of drawings that hold narratives of urban decay, mythology and life. He also makes cut-colour paintings which address more frivolous and at times personal issues of gender, identity, fashion and politics. His performances specifically focus on historical speeches and their political implications. Syed Ammad Tahir is a lecturer at the Indus Valley School in the department of Communication Design and has taught at other art and design colleges as well. He regularly writes for newspapers such as the Herald, Dawn Group. The artist lives and works in Karachi. Usman Saeed graduated from National College of Arts, Lahore in 1999 and from Royal College of Art, London in 2006. Part of several public and private collections, his work has been shown widely in solo and group exhibitions. Saeed was the resident artist at Cité Internationale des Arts, Paris in 2005, Cicada Press, UNSW Art & Design, Sydney in 2013 and Murree Museum Residency, Murree in 2014. Varda Nisar is a researcher/founder of the Karachi Children’s Art Fest – the first ever art festival for the children of Karachi, and is currently engaged with the Karachi Biennale (KB17), as their Educational Program Coordinator, the largest contemporary art exhibition in Karachi. She is also an ArthinkSouth Asia Fellow, and has trained with the Smithsonian Institute, Washington DC, Spark Arts Festival for Children, Leicester. Besides this, she has also been engaged in studying the cultural artifacts of the Silawat Community, who were the original stone masons of the city. Veera Rustomji is a visual artist and writer based in Karachi, Pakistan. She graduated in 2015 from the Department of Fine Art of the Indus Valley School of Art and Architecture. At present, she is a Project Coordinator for Vasl Artists’ Association and pursues freelance writing with numerous publications. Veera has displayed her work within Pakistan and was an artist in residence for the 2017 Murree Museum Artists’ Residency. Born in Karachi, Pakistan, Yaminay Chaudhri has a degree in architecture from Cornell University, and an MFA from SUNY Albany. In 2011, she established the Tentative Collective in Karachi. Since then, she has been making art collaboratively as well as on her own, focusing on digital media and socially engaged practice. Valley, Azad Kashmir. Zahra leads the project ‘Academy for Democracy’ under which she runs Laajverd Visiting School. She has presented and spoken at various national and international conferences. Zahra Khan an independent curator with a focus on contemporary South Asian art, is the curator for Satrang Gallery in Islamabad and recently completed a Masters in Contemporary Art History at SOAS, London. Zahra Malkani – Zahra Malkani is an artist based in Karachi. Her research based practice spans multiple media and draws upon feminist, decolonial, anticapitalist traditions. She is a co-founder of the Karachi LaJamia, an experimental pedagogical project seeking to politicise art education and explore new radical pedagogies and art practices, and she is currently a lecturer at Habib University. 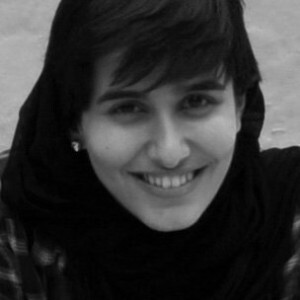 Zainab Omar founded My Art World in 2012. As an avid art collector, her desire was to create an online platform for Pakistan’s emerging artists, in order to enable their talent to reach a wider audience. Zainab has experience in the world of media having written for various publications since 1990; including The Friday Times, CIDA, UNIC, and The Asia Foundation, and as a Contributing Editor for Blue Chip Magazine. She briefly worked as a consultant with IAL Saatchi and Saatchi and conceived, wrote and hosted a popular and successful cookery/chat show, Zainab Can’t Cook, for Aaj TV. Zainab is currently writing a series of short stories. Zarmeene Shah is an independent curator and critical writer based in Karachi. Focusing on contemporary art and continental theory, she is particularly interested in new media, the body, and political in art. With a BFA from the Indus Valley School of Art & Architecture (2003), and an MA in Critical & Curatorial Studies from Columbia University , she became one of the first professionally qualified curators in the country. She has written extensively on contemporary art, and curated several notable and often large-scale exhibitions. Most recently, she was Curator-at-Large of the inaugural Karachi Biennale 2017, and also serves as Head of the Liberal Arts Program at the Indus Valley School of Art & Architecture in Karachi. Zohreen Murtaza is a graduate of the prestigious National College of Arts, Lahore where she Majored in Miniature Painting. She also completed her MA from the MA (Hons.) Visual Art Program at NCA. Murtaza is a practicing artist who divides her time between writing and studio work. Currently she is teaching Art History in the Undergraduate Program at NCA as well as at Kinnaird College for Women, Lahore. Murtaza was also a part of the editorial team of the Quarterly NCA Newsletter and now writes a monthly column in the art section for Dawn. She has recently helped edit a publication on prominent landscape painter, Khalid Iqbal which has been authored by Dr. Munawar Ahmad. Zoila Solomon was born and brought up in Karachi, Sindh where she graduated with a Bachelors in Fine Art from Indus Valley School of Art and Architecture, Karachi in 2016. Solomon enjoys story telling which is evident through the stories of her family and friends that she narrates through her work. She has exhibited her work in two group shows in Pakistan. She currently practices miniature painting and photography and also works as the assistant curator at Mohatta Palace Museum, Karachi. Zoya Nadeem was born and brought up in Karachi where she graduated with a Bachelors in Fine Art from Indus Valley School of Art and Architecture, Karachi in 2016 with major in printmaking and minor in photography. She is working as a Gallery Manager at Foundation for Museum of Modern Art (FOMMA) and as a Manager at ArtNow. Her interest in macro photography led her to treat her artwork as landscapes that tell stories. She likes to experiment and employ different printing techniques on various mediums.